I may as well admit it. I’m in love with a TV character. This has been going on for years now. Ever since I first got to know him on the hit show “Gilmore Girls.” Even the way I discovered the show was a fluke of sorts. 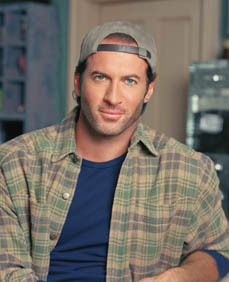 See, I was waiting for my first house to be built and I was staying with family and it just got so ugly and crowded that I ended up renting a room from a friend of a friend who didn’t have cable in the guest room that I rented so I was forced to watch “regular” television which led me to Luke Danes. He’s beyond dreamy. But he’s not merely dreamy, he’s easygoing at just the right temperature. He’s scruffy and unpretentious and intense and smart and loyal and soft and fair and sweet and tool-oriented and perfectly sarcastic and he’s a got-your-back-no matter what kinda guy. I just love him. I will also admit here that I have fantasized about a man like Luke. Could he be real? Is he out there in one package? 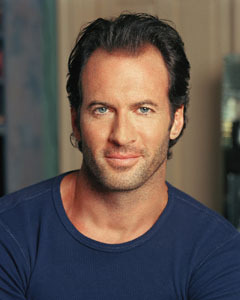 It was so bad that I found myself Googling Luke and learning about the real-life person, Scott Patterson. I wonder how much like Luke he is or is he just a great actor. Go ahead. Laugh. There are ions of us out here loving on Luke and wishing he existed at our local diner. I think I’ll start a Help! I’m in Love w/ a TV Character Support Group.